A TV host, who's a stock expert suddenly finds himself in a situation where he becomes a hostage during a live broadcast of his own stock show. He later learns that he's being held hostage by one of his loyal viewers who followed on his stock tip; the only problem was the stock tip wasn't as good as the host recommended at all, and he loses all of his money and savings in the process. Seeking out for revenge and answers, he appears during a live show and holds the host of the show hostage on live TV. 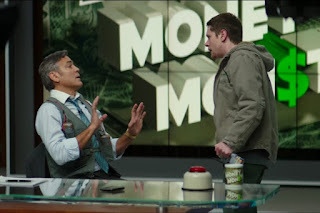 Staring George Clooney as the stock guru on a TV show, who's only goal was to persuade his viewers to purchase any stocks that may be the potential gold mine. Along with Julia Roberts, who works behinds the scenes of the show; and Jack O'Connell, as the gunman. Together they created a performances that can keep you on the edge of your seats, from the tensions that's created from the hostage situation, as well as de-escalating the situations. The story itself is simple and easy to follow up on; but what makes this movie stands out is the exchange of dialogues and conversations between each of the characters. 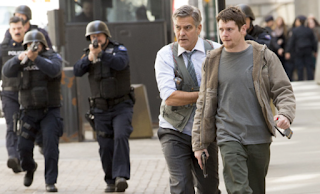 You have George Clooney on one-hand trying to calm down Jack O'Connell, who's a victim of a bad stock advice; while Julia Roberts' performances is strategizing her role to help George Clooney's character out of this hostage situation. As the story progress, the hostage situations keeps turning for the worst, and creating the dramatic story from one simple situation. The movie itself can be quite exciting to stay tuned to; along with the casts's performances of this movie, they can be interesting to watch from their exchanges dialogues throughout each situations. 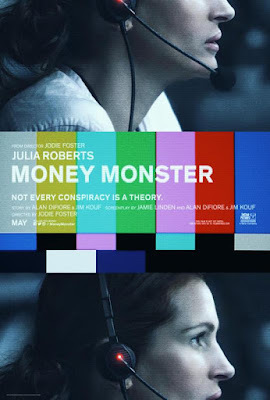 In the end, this movie can be an interesting movie to watch, if you're in to police-hostage negotiation situations; the only unique part of this movie is the scenario it created, along with many bumps on the ride to make the situations worst, for the entertainment of the audiences.